NETHERLANDS: Developments in artificial intelligence (AI) could lead to an onshore wind farm being built entirely by robots, according to energy specialists. 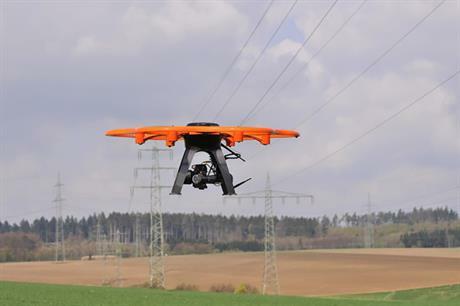 AI can benefit the wind industry through improved data collection and analysis, and robot installation and operations and maintenance (O&M) crews, according to new DNV GL analysis. The industry already benefits from data collected by sensors, and this has aided advances in resource forecasting, control and predictive maintenance, the energy consultants found. But data from wind farms collected through AI has so far been under-utilised, according to the energy specialists’ position paper. Information about the performance of individual projects has traditionally not been shared "except to demonstrate the achievement of regulatory minimum standards", the report’s authors wrote. The data-rich wind industry stands to benefit not only from the collection of performance data by sensors, but also from flying, crawling, sailing, and diving robots or drones being able to install, inspect and maintain sites. "It is possible to imagine an onshore wind farm being built entirely by autonomous robots," the report’s authors wrote. "The parts of a wind tower and turbine or a solar array are transported from the factory by self-driving lorries, unloaded by another set of robots, attached to the foundations that yet other robots have dug and filled, and pieced together by a final set of robots and drones. "Most of these robots are driving robots — or automatic guided vehicles — controlled by artificial intelligence," they added. DNV GL did not specify a date by which this might be possible. Artificial intelligence will also "have an impact" on human jobs in the wind industry, DNV GL predicted — especially in planning, operations and inspections. However, the report’s authors concede it "will take some time before the consequences of AI introduction on renewables job functions will be clear". Elswhere in the report, DNV GL claimed the industry could benefit from the acceleration of due diligence, reducing the human hours and number of documents required for site planning and analysis. DNV GL also predicted new efficiencies in supply chain optimisation, such as the delivery of solar and wind components by self-driving trucks and even the automation of renewables construction. "We expect the installation of more sensors, the increase in easier-to-use machine learning tools, and the continuous expansion of data monitoring, processing and analytics capabilities to create new operating efficiencies — and new and disruptive business models," said Lucy Craig, director of technology and innovation at DNV GL. The benefits of AI could also reduce costs in energy development, production and delivery, DNV GL stated — especially as the costs of AI are lowering as the ease of its use increases. The energy specialists concluded that the wind industry embracing artificial intelligence would be a "prudent move", but questions such as who runs a project when an AI system goes down, and how quickly the effects of AI will be felt, need to be considered. "Wind developers, operators, and investors need to consider how their industries can use it, what the impacts are on the industries in a larger sense, and what decisions those industries need to confront", co-author Elizabeth Traiger concluded.